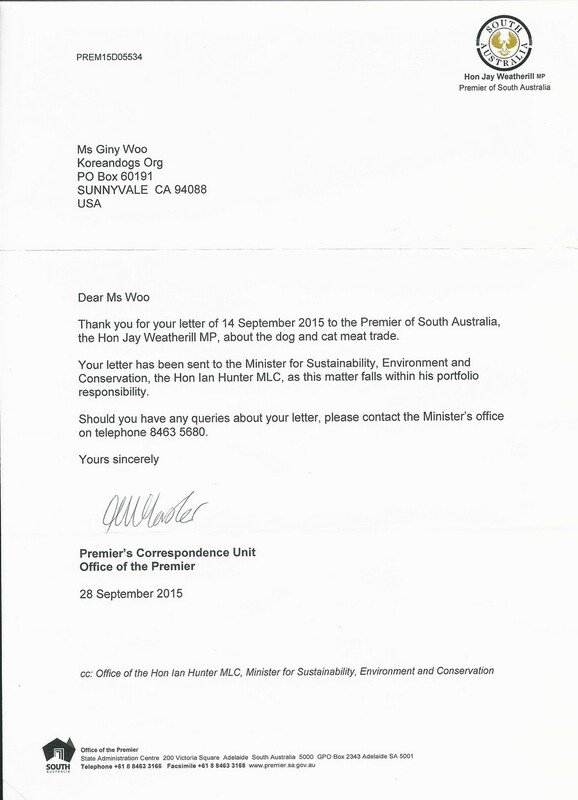 Another disappointing – and apathetic – reply was received in response to our letter to the Hon Ian Hunter MLC (Australian Minister for Sustainability, Environment and Conservation). 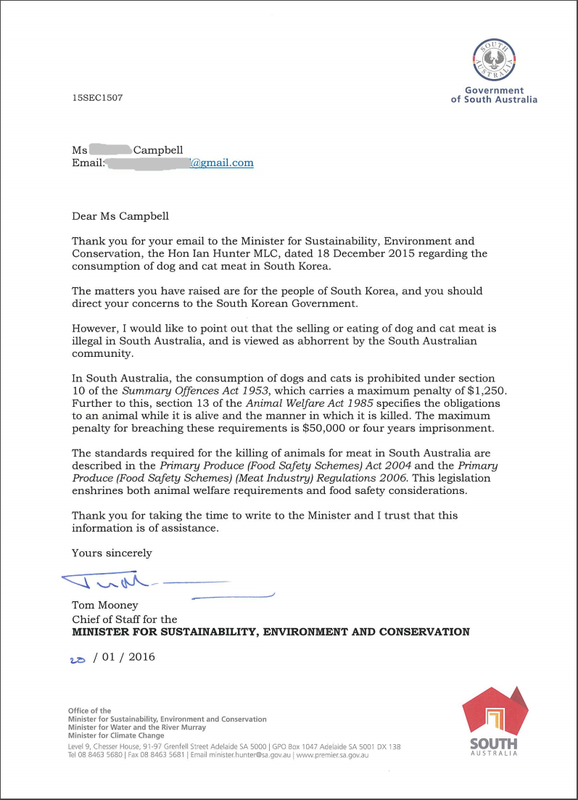 We sent them this letter, as South Australia is a Sister State to Chungcheongnam-do; therefore, we felt that they could help us by putting pressure on the South Korean Government, at this opportune time in the run up to the Olympics. Click HERE for our campaign. 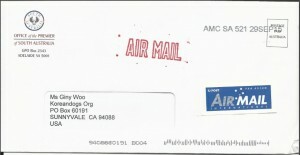 They are aware of the full facts, we were following up our current petition to them: Click HERE for the petition. Ian Hunter clearly isn’t concerned, and he didn’t address our issue: his reply (not directly from him, but someone in his office) merely stated that this was a matter for the people of South Korea and should be taken up with their Government. 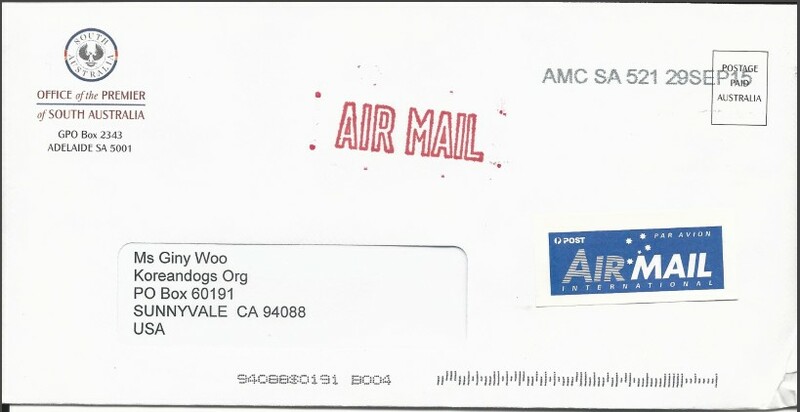 We feel that Ian Hunter’s Department could have offered to make some sort of contact on this matter with their Sister State, particularly as we have had a positive response to our request to Glendale, California, about their Sister City – and they have received positive acknowledgement back from their South Korean counterparts. Additionally, they noted that: section 13 of the Animal Welfare Act 1985 specifies the obligations to an animal while it is alive and the manner in which it is killed; and carries a (significant) penalty for breaching this Act of $50,000 or four years imprisonment. · The Primary Produce (Food Safety Schemes) (Meat Industry) Regulations 2006. – both of which cover animal welfare requirements and food safety considerations. We will not stop campaigning until the dog meat trade ends in Chungcheongnam-do and throughout South Korea. So please keep taking action. Click HERE to take action TODAY. Het is niet normaal om honden en katten te eten dit moet stoppen.